Amanda spent much 2009-2012 living, volunteering and working in Cape Town, South Africa. 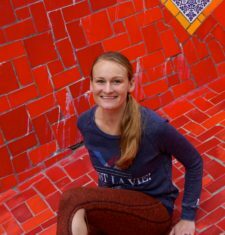 Following her 2009 graduation from the University of California at Santa Barbara, Amanda was accepted to an internship program at the Desmond Tutu HIV Foundation. After four months working in the township of Gugulethu at a Pediatric HIV Clinic, she knew she had found her calling. Amanda spent the next three years moving back and forth between California and Cape Town. During this time she held positions at the University of Cape Town, the South African Red Cross Society, Sonke Gender Justice Network and The Southern Africa Sustainable Development Initiative (SASDI). During this time she also spent time working in rural Tanzania, as a youth HIV educator and facilitating support groups with HIV-positive women. In September of 2011, Amanda earned her MS in Global Health Sciences from the University of California at San Francisco. Following her graduation, she returned to Cape Town on a special working visa. Amanda returned to the states in 2012 and worked as a research analyst in UCSF’s Global Health Sciences department where she had the chance to contribute to a number of HIV prevention, surveillance and treatment programs throughout sub-Saharan Africa and the Caribbean. In 2016, Amanda accepted a research position with RTI International's Women's Global Health Imperative and in the summer of 2017, she and her husband relocated to San Diego she she could begin a PhD program in Public Health at the University of California, San Diego. Amanda is very passionate about the work that Love to Langa does and is so happy to be a part of the team!